Have you ever found yourself feeling thoroughly torn by a book? Enjoying it immensely on the one hand and wanting to throw it across the room in fury on the other? 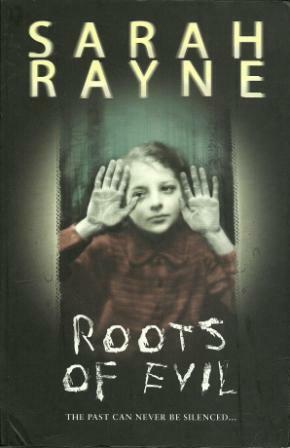 That was my experience with Sarah Rayne’s dark and gruesome psychological thriller Roots of Evil. The book begins with film restorer Lucy Trent, granddaughter of silent screen siren Lucretia von Wolff. As Lucy is working on the restoration of a 1911 short horror film, she is interrupted by a young woman named Trixie Smith who is writing her dissertation on Lucretia von Wolff and is investigating the notorious and violent double murder and suicide that ended her life in the 1950s. She is particularly interested in the specter of a child named Alraune, sometimes believed to be Lucretia von Wolff’s secret and illegitimate daughter and at other times believed to be a fiction dreamed up by journalists to enhance Lucretia’s reputation as a woman with a dark history. It doesn’t take long for Trixie’s research to lead to more murder, and then more murders—both in the present and in the past. I was surprised at how quickly the book turned violent and how quickly the answers to certain key mysteries were revealed. Rayne can get away with this because each new crime draws the characters back toward another, much older crime; and each mystery revealed only leads to more questions. I have a weakness for these kinds of stories, in which family secrets and ghosts impinge on the present, and Rayne delivers ghosts (literal or figurative) aplenty. Rayne is also brilliant at misdirection. She relies on readers’ general assumptions about story-telling conventions to lead our thoughts down a certain corridor only to pull the rug out from us when we think we’ve almost reached our destination. It happens again and again in this book, and some of the twists are breathtaking. I consider myself about average when it comes to picking up on surprises in fiction, and Rayne had me almost every time. However, and this is a big however, I came to eventually feel that Rayne was relying too heavily on the shocking twists!!! Part of my issue is that too many of the twists rely not on characters keeping secrets from one another but on Rayne’s tricksy story-telling style. One or two revelations built in this way seem fair enough, but when almost every revelation depends on some bit of authorial withholding, well, it begins to feel like a gimmicky cheat. And in one case she absolutely did cheat and recounted events that absolutely could not have happened in light of later revelations. Most of time, however, she just leaves out what seem like obvious bits of information that readers may not notice are missing until the big reveal. A fair enough technique but overused here. What makes the tricksiness especially irritating is that the story itself is compelling enough not to need all the surprise revelations. It’s a really great story. I’ll admit that I have some reservations about the way she works the Holocaust into the narrative of what is, at its core, a pulpy thriller, but if you’re going to write a sort of modern riff on the legend of Alraune, there is perhaps no more suitable setting. The Alraune legend itself is one that I’d never heard of before reading this book, and Rayne makes good, intelligent use of it. Alraune is the name of a character who may or may not exist and the title of Lucretia von Wolff’s most famous film, and echoes of the story appear again and again in the book. The title itself harks back to the Alraune legend and the mandrake root that launches the horrifying sequence of events. So I’m torn. Rayne comes so close here to being on a level with Barbara Vine (Ruth Rendell), but where she falters, she falters badly. It’s exasperating. I’d almost rather have hated it so I could dismiss Rayne as an author who’s not for me. But the good stuff is so very good that I feel I must keep her on my list of authors to read. 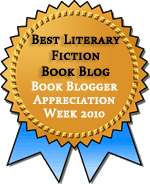 This entry was posted in Fiction, Mysteries/Crime. Bookmark the permalink. I think I felt somewhat similarly when I was reading Lionel Shriver’s “We Need to Talk About Kevin”. I thought the subject matter itself was really spooky and scary on its own, but I was really bothered by the epistolary device that Shriver used and eventually figured out on my own why she was using it and it bothered me because it wound up feeling really clunky. I think the story could have been equally effective without that element, but she was so intent on a big twist that it may have been to the novel’s detriment. I think sometimes authors underestimate the value of an excellent story, straight-forwardly told. I do love epistolary novels, so perhaps Kevin would work for me. It’s not high on my list, though. With one exception, I’m not sure that all of Rayne’s tricks amount to cheating–Laurie King has used one of the same narrative tricks Rayne uses here a couple of times. (And to give Rayne credit, I caught on right away when King did it, but not when Rayne did, so yay for Rayne!) The problem for me was the excess. I really felt like she was playing games and not telling a story. Frustrating.